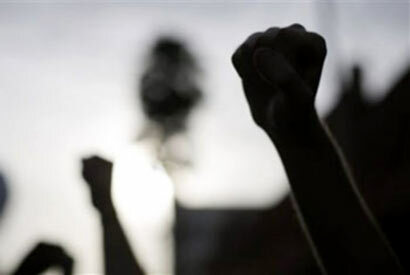 A large number of people participated in a protest staged in Tamil Nadu on Sunday demanding that the Indian government pass a resolution seeking to try the Sri Lankan Army in the International Criminal Court for alleged war crimes against Sri Lankan Tamils, The Hindu Newspaper reported. Volunteers of Eezha Tamizhar Vazhuvurimai Kootamaippu and several social organisations supporting the Sri Lankan Tamils participated. T.C. Mani, coordinator of the Kootamaippu, said the Sri Lankan government had not taken any steps to punish its soldiers involved and added that the United Nations Human Rights Council (UNHRC) has to set up an international tribunal to punish those soldiers who were involved in war crimes. He said the Sri Lankan government had been delaying the setting up of an internal tribunal to try the soldiers for war crimesSo the Indian government had to take a note from the Tamil Nadu government, which passed a resolution in the Assembly seeking an international probe, he added.